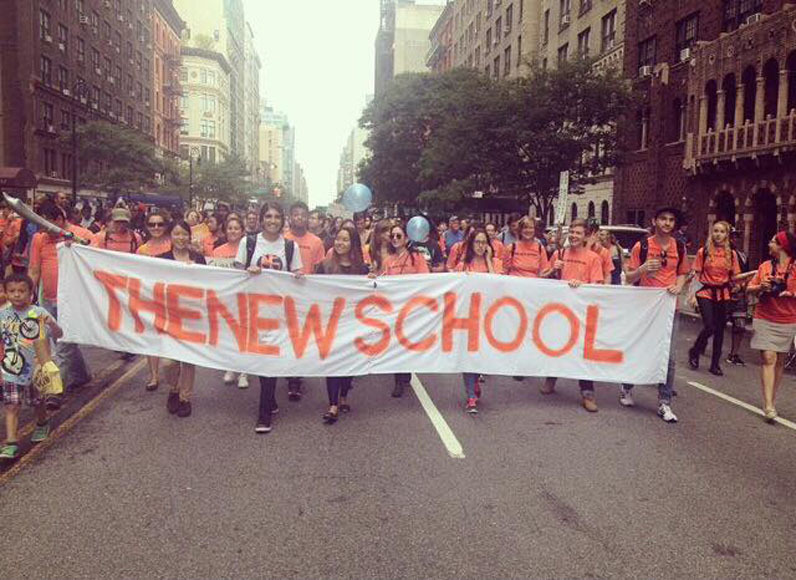 In the march toward sustainability, The New School took a huge step forward in February when it announced a comprehensive Climate Action Plan—including a full divestment of fossil fuels—aimed at tackling climate change. The university’s plan came into the spotlight this month during an episode of Spheres of Influence, an online podcast and discussion forum focused on sustainability. During the hour-long virtual fireside chat, Spheres of Influence founder Dr. Sarah Warren spoke with Michelle DePass, dean of The New School’s Milano School of International Affairs, Management, and Urban Policy, and Dr. Debra Rowe, founder of the US Partnership for Education for Sustainable Development, about the emergence of sustainability in education. DePass spoke about The New School’s Climate Action Plan, which not only includes a pledge to divest from fossil fuels, but a framework for incorporating sustainability into the university’s mission and curriculum. She applauded students for initiating the divestment protest movement. “We really have to credit the energy and activism of the students to get this in front of and to activate leadership to be able to consider this,” said Depass, who also praised alumni, faculty members and administrators for getting the Climate Action Plan off the ground. Just as the protest movement benefitted from many different voices from across the university community, so too does the Climate Action Plan. Depass noted that the plan draws upon The New School’s ability to work across the fields of design, social research, and social justice to create viable solutions to challenges raised by climate change. That mission is being carried out, in part, through the Tishman Environment and Design Center, which works with “all the leadership and faculty throughout the university to develop new academic programming, research and projects that foster the integration of design strategy and social and ecological approaches with a social justice lens,” Depass said. The New School is part of what Depass called a “national trend” of sustainability education. Listen to Curriculum Transformation for Climate: A “Grass Tops” Story of Change at The New School on Spheres of Influence.